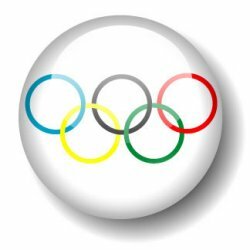 The Olympic Games are filled with memorable moments, drama and human interest stories. Although, by population, Canada is not a large nation, it seems to find itself at the center of some of the most controversial and strange moments in the history of the games. Two of these events involved sports where the judging was an issue. One of these stories involved the swimmer Sylvie Frechette and the Summer Games and the other involved pairs skating couple Jamie Sale and David Pelletier during the Winter Games. In 1992, Sylvie was competing in the summer Games in Barcelona. She was the favorite to win the gold medal, and she did not disappoint. She swam an amazing program and there was no doubt in anyone’s mind that she should win the gold. However, one of the judges made a mistake entering their marks into the computer. The judge even admitted that it was a mistake and tried to get the score changed. Nonetheless, officials would not listen to reason. Sylvie took home the silver medal. Canada, however, would not let it rest and sixteen months later Sylvie was awarded the gold medal that she had earned. The case of Jamie and David was similar in many ways. Jamie, David and Jamie were on the brink of winning gold. They went out and skated the performance of their lives, and were clearly the best. The Russians had done well, but they had made mistakes. However, when the scores were posted the Canadians were second. The world and the pair were stunned. Clearly, the Canadians were the better team, in the eyes of everyone but the judges. What would follow would rock not only the world of skating but every sport where judging was an issue. After days of investigating it was discovered that the judge from France had a deal with the Russian to place them first. The decision was made to award both the Russians and the Canadians the gold medal. This solution appeased the Canadians but brought into question all the judging in the world of sport. How many times had this happened in the past? Although, these moments may not be the happiest in the world of Olympic Sport, they are among the most memorable. This entry was posted in Sports Tivia by Jane. Bookmark the permalink.